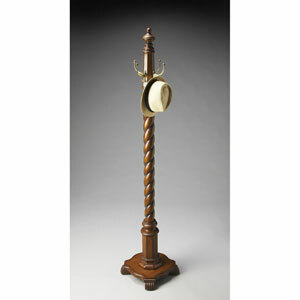 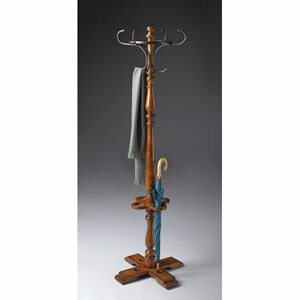 A unique spinning top enhances the functionality of this traditional coat rack. 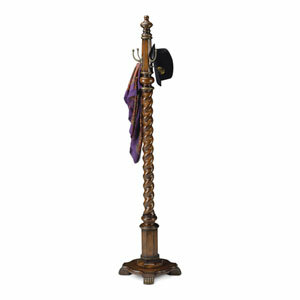 Three tiers of posts adorn the elegant turned post, including a top tier that spins to place coats, jackets and hats within reach. 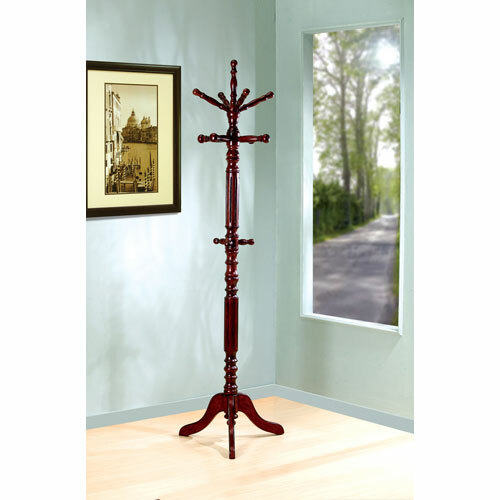 A dramatic pedestal base, classic turn post styling and your choice of distinctive finishes complete the traditional appeal of this hall tree. 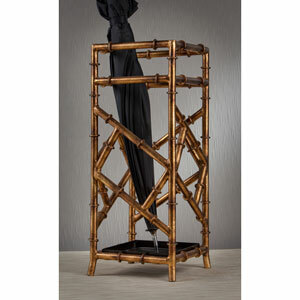 Warm up a room with the richness of the lighter tobacco finish, or dress it up a notch with the added depth of the dark walnut finish. 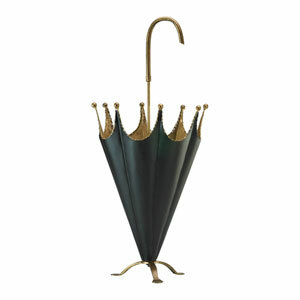 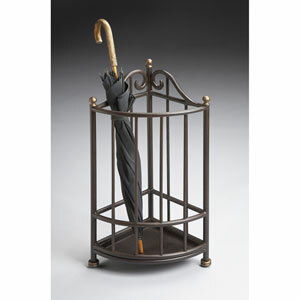 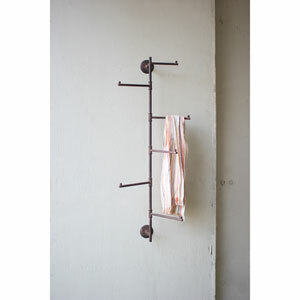 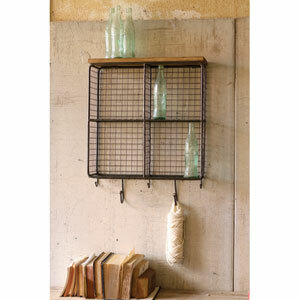 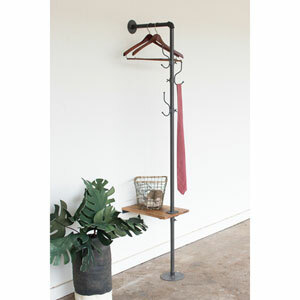 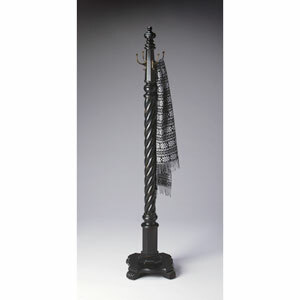 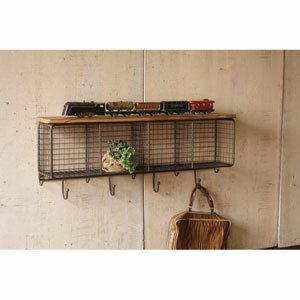 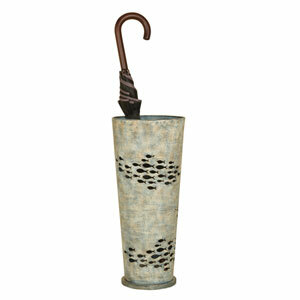 This coat rack makes an elegant statement no matter which room of your home you place it in.